This day is celebrated around the world and at the United Nations Headquarters in New York each year, bringing together indigenous peoples’ organizations, UN agencies, Member States, civil society, academia and the general public. 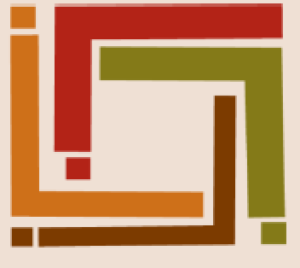 This year’s theme is “Indigenous peoples’ migration and movement.” The 2018 theme will focus on the current situation of indigenous territories, the root causes of migration, trans-border movement and displacement, with a specific focus on indigenous peoples living in urban areas and across international borders. To learn more about this international observance visit the UN’s website. Visit the UN Department of Economic and Social Affairs (DESA) page to download the event program and key messages. Dhaka: December 2, 2014. The International Chittagong Hill Tracts Commission (CHTC) has expressed concern over the Government’s lack of political will leading to the failure of full implementation of the CHT Accord 17 years after its signing. The CHTC has called upon the Government to urgently adopt and enforce a roadmap with clear milestones for implementation of the Accord ensuring full participation of all stakeholders. The Awami League signed the Accord together with PCJSS on December 2, 1997 and the present Awami League government has repeatedly pledged to implement the Accord, both nationally through each of its election manifestos to date and internationally during the Universal Periodic Reviews in 2009 and 2013. Yet the state of peace and stability in the Chittagong Hill Tracts (CHT) has continued to deteriorate throughout the two terms the government has held office and there have been no efforts to strengthen local institutions and ensure end to land conflict which has led to the deterioration of the human rights situation in the area. 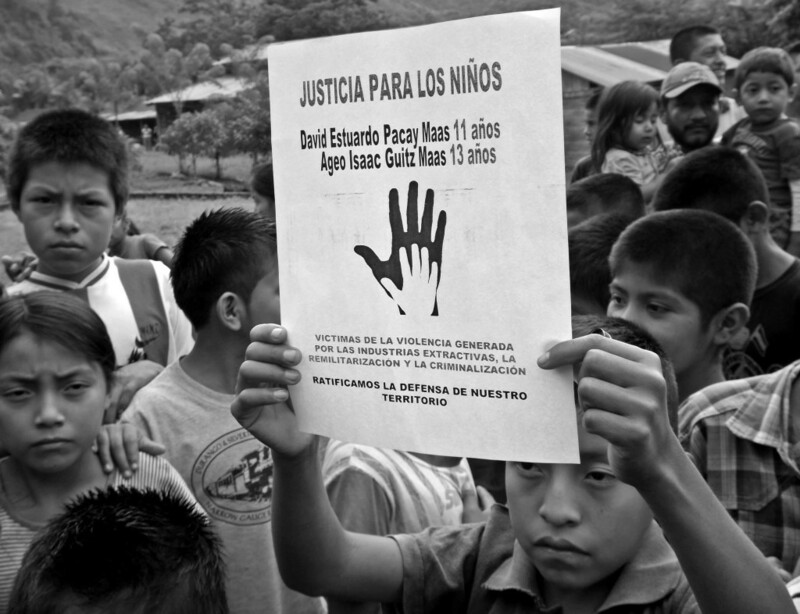 In August of 2013, the community was attacked and two children were killed in retribution for human rights complaints filed by the community. The letter notes that the Inter-American Commission on Human Rights’ Rapporteur on indigenous peoples’ rights recognized “that the current licenses for mining and hydroelectric plants were granted without the State having implemented prior, free, and informed consultation with affected indigenous communities, as it is obligated to do under international treaties signed by Guatemala”. 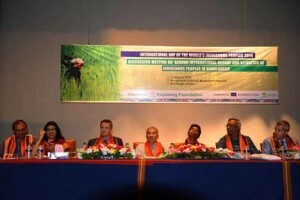 On August 11, 2014, Kapaeeng Foundation of Bangladesh held a forum on the “Second International Decade and Situation of Indigenous Peoples in Bangladesh” at the National Museum auditorium in Dhaka. The meeting was organized to celebrate International Indigenous Peoples Day 2014. The Honorable Chairman of Chittagong Hill Tracts Regional Council and President of Bangladesh Indigenous Peoples Forum, Mr. Jyotirindra Bodhipriya Larmawas presented as the guest of honor, while Mr. Rabindranath Soren, Chaiperson of Kapaeeng Foundation presided over the program. Speakers and special guests included Mr. R A M Obaidul Muktadir Chowdhury MP, Honorable Chairman, Parliamentary Standing Committee on Ministry of Chittagong Hill Tracts Affairs; Mr. Fazle Hossain Badsha, MP; Pir Fazlur Rahman Misbah, MP; Professor Dr. Sadeka Halim, Former Information Commissioner; Mr. Snehal V Soneji, Country Director, Oxfam; Mr. Gonzalo Serano De La Rosa, representative of the European Union; Mr. Mika Kanervavuori, representative of UN; Mr. Sanjeeb Drong, General Secretary, Bangladesh Indigenous Peoples Forum. Sanjeeb Drong is a close collaborator of the Oblates in Bangladesh. Read a full account of the forum here (Download PDF) or visit the website of the Kapaeeng Foundation. Religious and Lay representatives from Latin America, “moved by the critical situation of our peoples vis-à-vis the extractive industry”, met in Lima in November 2013. Concerned that mining is a source of “constant and serious conflict” in many countries of Latin and Central American countries, the attendees wanted to develop a vigorous and supportive set of local and international networks to help address the destructive impacts of mining. The Missionary Oblates were represented by Fr. Gilberto Pauwels OMI from Bolivia, and Fr. 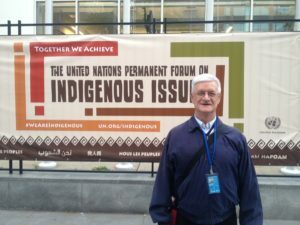 Seamus Finn OMI from the United States and through their participation in VIVAT, a coalition of religious congregations with ECOSOC status at the United Nations. There are a number of outcomes from the gathering that included reaching out to a larger number of communities affected by mining, engaging with the Pontifical Council for Justice and Peace at the Vatican and convening a broader consultation on the challenges of extractives in the second half of 2014. Extractives, mining oil and gas exploration, play an important role across the world while also imposing great intrusion and damage in local communities and on the environment where they operate. The search for a way forward that addresses the most serious of those negative impacts has been taken up by a number of different initiatives in the academic, business, stakeholder and shareholder and NGO sectors. Hopefully gatherings like the meeting in Lima can make a constructive contribution to that process.